There are countries and some circles within the U.S. administration trying to dissuade Washington on its decision to withdraw troops from Syria, Turkish Foreign Minister Mevlüt Çavuşoğlu has said. “There are different voices within the administration,” he said on Jan. 9, referring to talks held with a U.S. delegation in Ankara a day before. “We see that the U.S. is having difficulties in its decision to withdraw from Syria. It must be difficult to leave after having been so intertwined with the terrorist organization,” Çavuşoğlu said in his briefing to a committee on foreign affairs about the latest developments in Turkish foreign policy. The minister was referring to the YPG, which Ankara sees as the Syrian offshoot of the illegal PKK. Çavuşoğlu stressed those “terrorist organizations” should not take advantage of the vacancy to be created after the U.S.’s withdrawal. “ISIL or the YPG/PKK, they are all the same to us,” he added, using the Arabic acronym of ISIL. 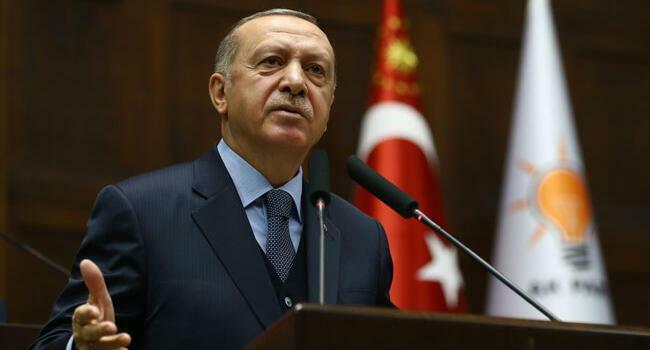 Turkey is evaluating the process of the U.S. pullout also with Iran and Russia in order to prevent the emergence of any other problems, the minister said. “We continue to hold meetings. I am saying this for the U.S. and other countries, whether you like it or not, Iran is an actor in Syria. Thus, we need to work in a constructive manner with the present actors,” he stated. Çavuşoğlu recalled Turkey’s preceding operations to Syria and stressed Turkey’s determination in fighting against terror. “We have taken the necessary measures to prevent the YPG/PKK from posing a threat to our country by getting stronger on Syrian territory,” said Çavuşoğlu. White House national security adviser John Bolton on Jan. 8 held roughly two hours of a meeting with presidential aide İbrahim Kalın. 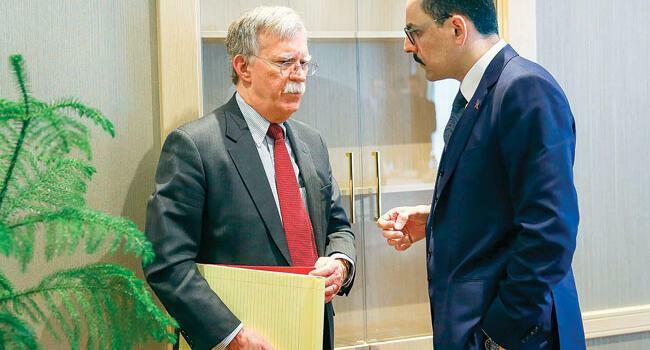 Bolton was joined by U.S. Chairman of the Joint Chiefs of Staff General Joseph Dunford and U.S. special Syria envoy James Jeffrey for the talks with Kalın.